As a single mother of a very active little boy, I discovered my life 100% revolved around my son. I forgot who I was and what I liked to do. Right before I turned 30, I decided it was time to chase dreams, conquer fears and rediscover who I am besides a mom. I wanted to be a role model and to teach my son he can do anything if he works hard. I re-enrolled in school and went through the Fire academy. While at the fire academy, one of my instructors convinced me to give diving a shot. I had never considered diving up until that point due to a fear of sharks. He convinced me to try diving in a cold lake where there were no sharks that could eat me. That's all it took for me to become hooked. 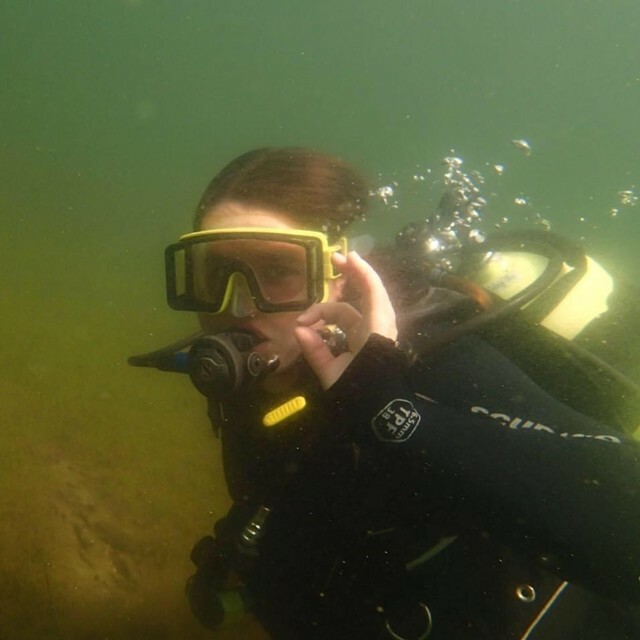 I am just about finished my open water certification now, and just booked a cruise to the Caribbean so I can dive and experience other areas in the world (and yes, I want to dive with sharks in Roatan!). I now have goals in life that involve diving. Eventually I would love to achieve public safety diver!